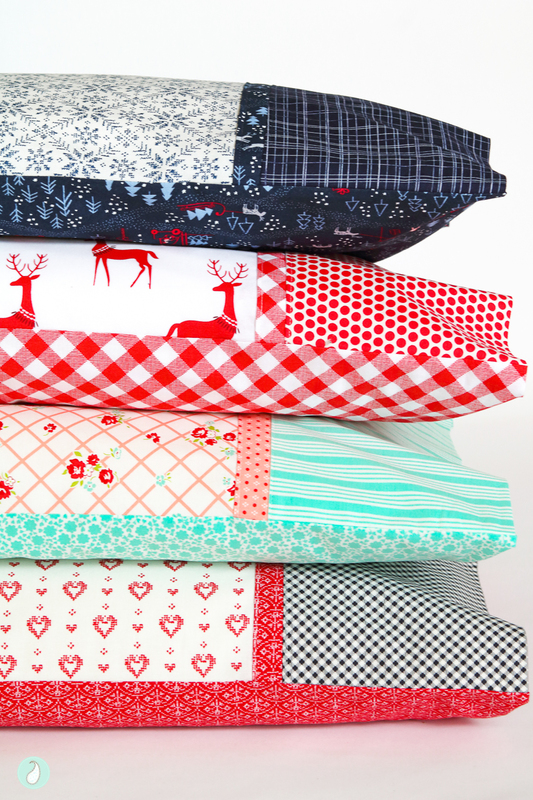 If you have an hour to spare and are looking for something to sew, or if you are in need of a quick gift, then a handmade pillowcase might be the perfect thing for you! 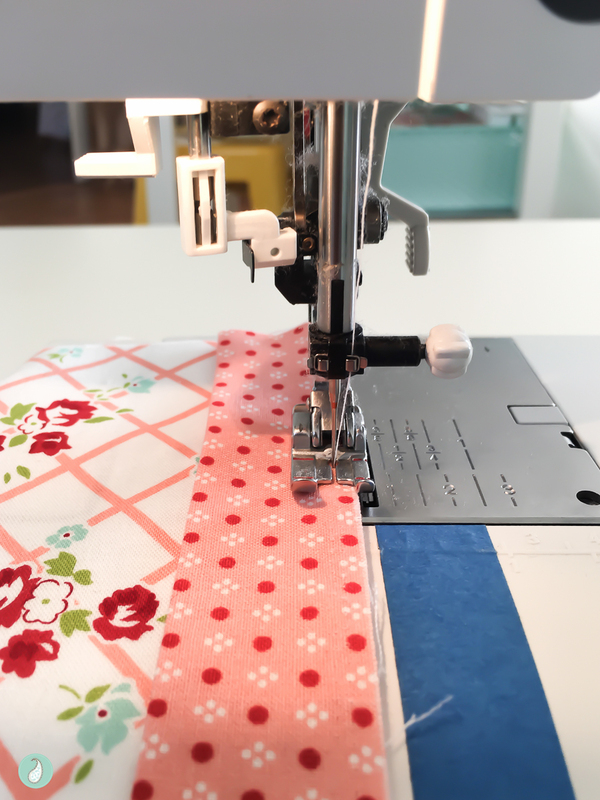 My pillowcase making adventure began when deciding on a suitable handmade gift to add to my son’s Christmas care package this year – a pillowcase seemed like the perfect lightweight option to send overseas. 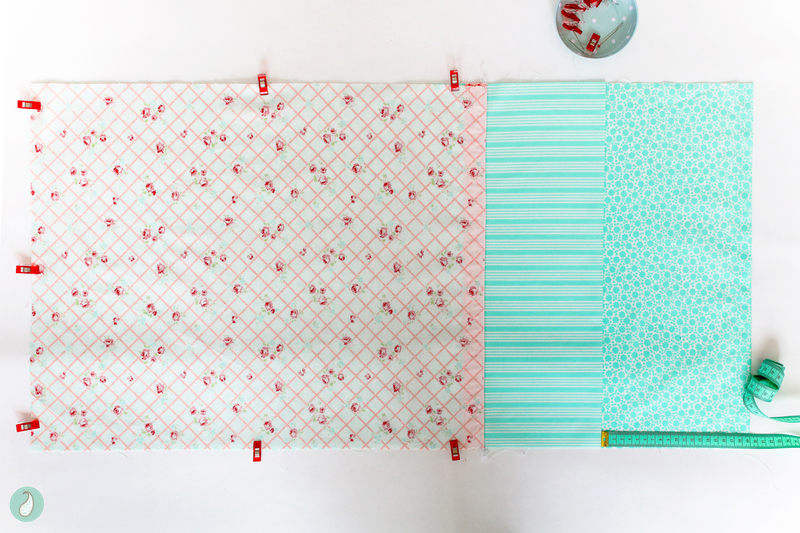 I glanced at a few different online tutorials (of which there are many), but what I found was a number of different ways to make cute ‘pillowslips’ rather than an actual ‘pillowcase’. 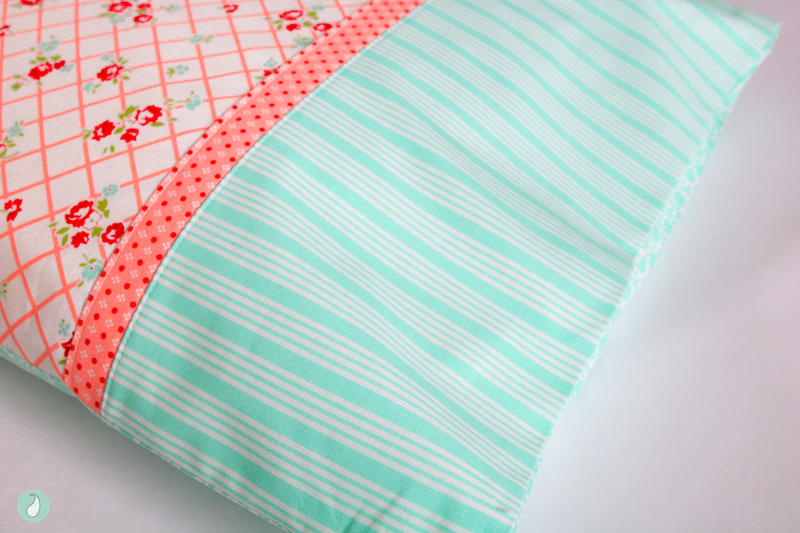 I’m not a big fan of seeing a pillow peek out from the side of its cover, so I did what any sensible maker in need of a pattern in a hurry would do – I reversed engineered the pillowcase from my own bed! After a couple of attempts that I felt could be improved, I settled on the method you can find below to make what I think is the perfect pillowcase! Depending on the size of pillow you want to make a pillowcase for, you may need to make some slight size alterations, but the basic concept can easily be replicated for any size. 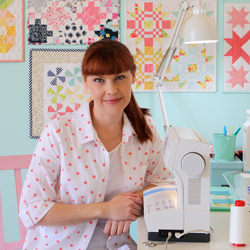 For this tutorial the PILLOWCASE FINISHED SIZE is approximately 18 X 29-inches. As a general rule I don’t wash my fabric, BUT there are a few instances where I think it is worthwhile, and this is one! 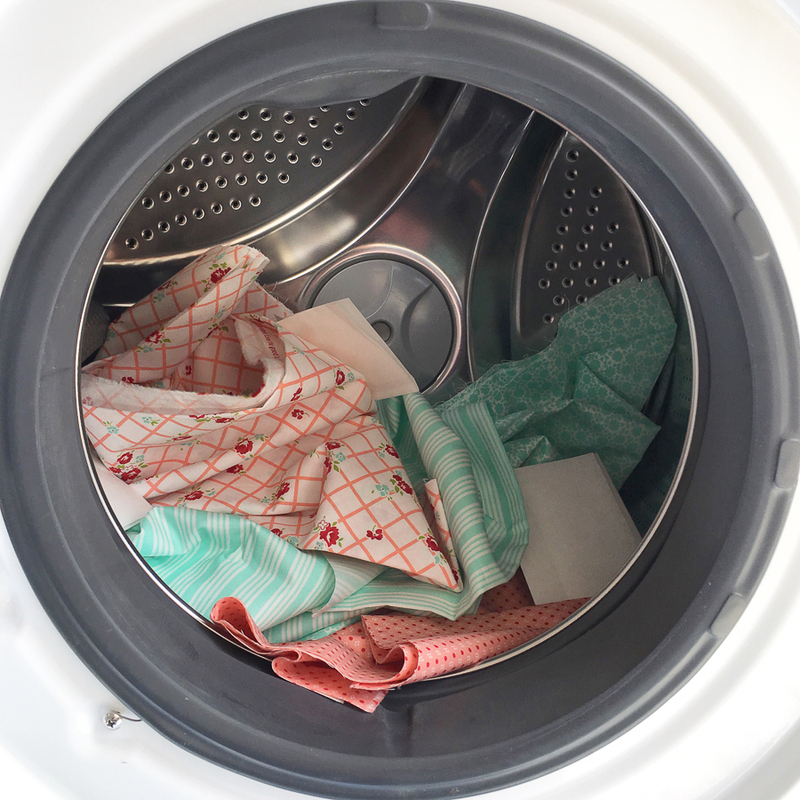 Because I know a pillowcase will be a regular visitor to the laundry, I think it makes sense to give it its best possible chance at longevity by prewashing any fabric ahead of time. 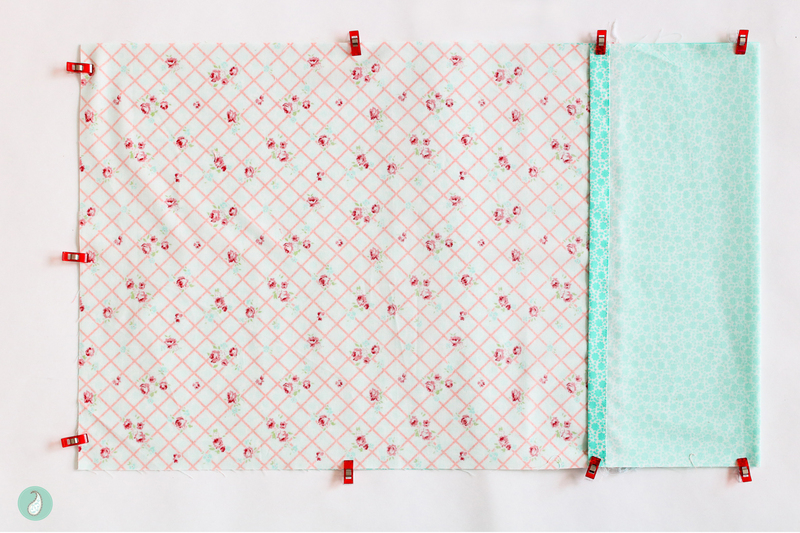 This ensures the fabric has shrunk, and will therefore help the pillowcase maintain its final shape. Don’t forget to throw in a couple of colour catchers if you think there might be any migrating dye issues. And if a colour catcher does actually catch any colour, then continue to wash the fabric until all the excess dye has been removed. For the pillowcases you see above, I hand-washed all the red and navy fabric until the rinse water ran clear, and then gave the fabric a quick wash in the washing machine. The light coloured fabric went straight into the washing machine. 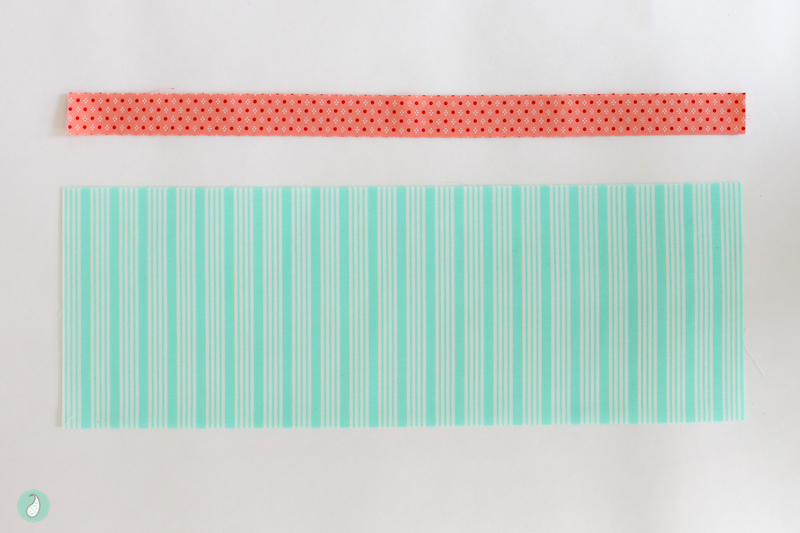 Press both the Accent Strip and the Cuff fabric in half with wrong sides together, as shown. 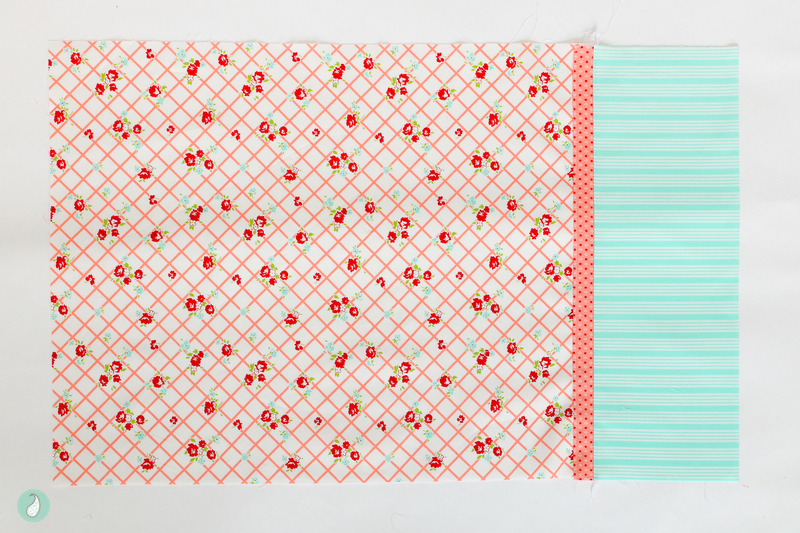 Place the folded Accent Strip on top of the Pillowcase Front and align the raw edges along the 18-1/2-inch side. 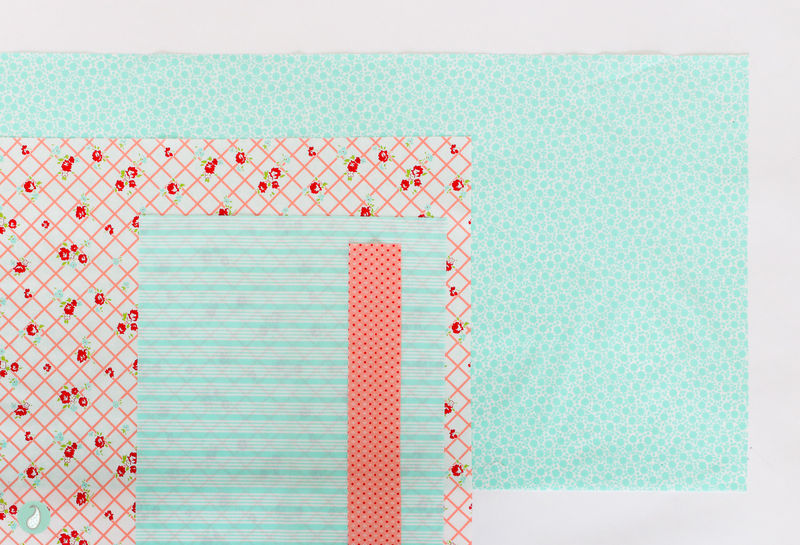 Secure the pieces together by stitching approximately 1/8-inch from the outer raw edge. Place the folded Cuff on top of the piece just sewn in step 4, and align the raw edges along the 18-1/2-inch side. 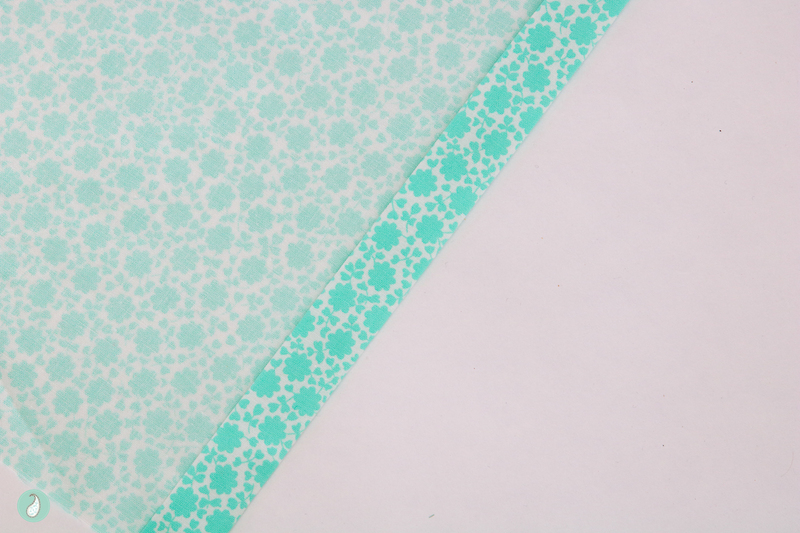 Stitch the pieces together using a 1/4-inch seam allowance. 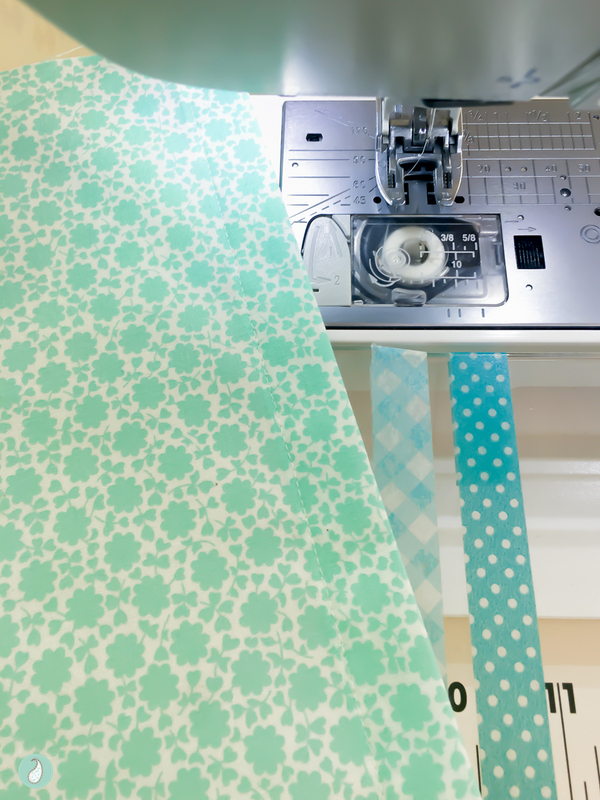 Using a serger/overlocker or a finishing stitch on your sewing machine, stitch along the raw edge. Fold the Cuff open; press the seam allowance towards the Cuff. Top stitch approximately 1/8-inch from the inside Cuff edge as shown. 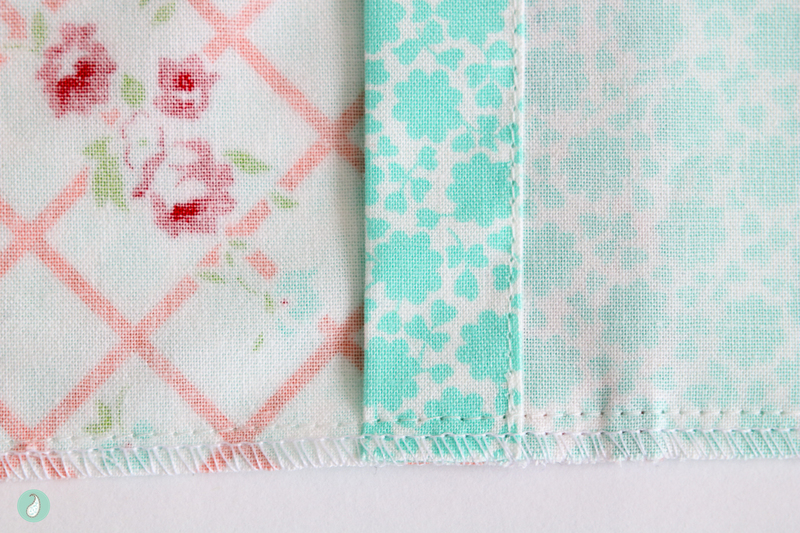 Optional: If you want to secure the Accent Strip to the pillowcase front, rather than have it loose, top stitch approximately 1/8-inch from the outer edge as shown. At this stage your pillowcase top is complete. Set aside. 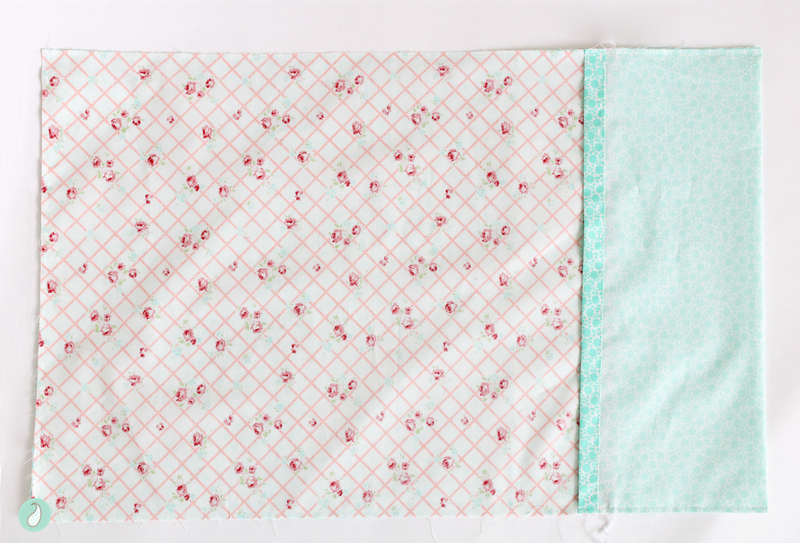 Fold the short edge of the Pillowcase Back approximately 3/4-inch back onto itself with wrong sides together. Press. Fold this edge a second time to encase the raw edge. Press. Top stitch along the folded edge as shown. Note: If your fabric is directional you will create the folded hemmed edge along the left hand side of the fabric, as you are looking at it right side up (if you want the cuff to be on the right hand side as shown above). Place the Pillowcase Back right side up with the hemmed edge on the right hand side. (If your fabric is directional it will be upside down). Place the Pillowcase Front with right sides together on top of the Pillowcase Back aligning the bottom edges as shown. Pin or clip in place. 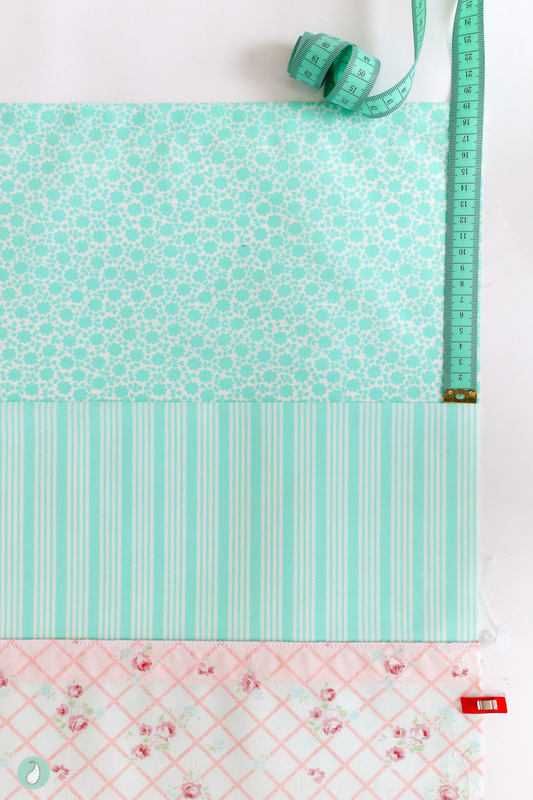 Measure the amount of fabric overhanging the Pillowcase Front on the top and bottom edge to make sure they edges are even. Adjust the hemmed edge if necessary. Note: The actual measurement is inconsequential, and may vary slightly between individual finishing methods. What matters is that the top and bottom measurements are identical – nobody wants a wonky envelope ;). 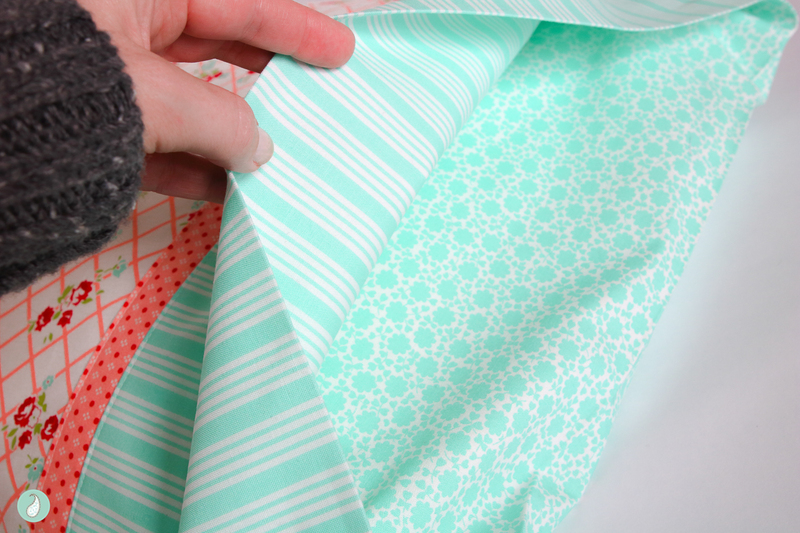 Fold the overhanging edge of the Pillowcase Back back onto the Pillowcase Front. The fold will be hard up against the edge of the Cuff. Pin or clip in place. 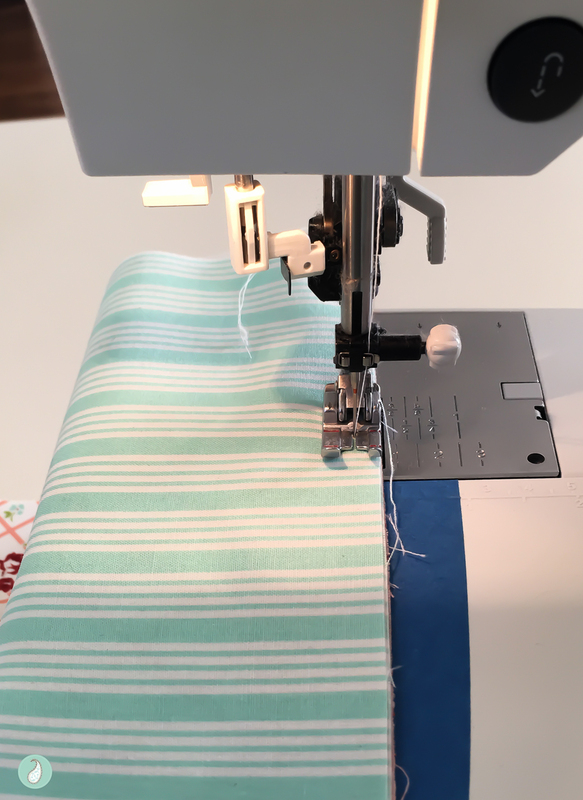 Using a 1/4-inch seam allowance, stitch along the three raw edges of the pillowcase, being sure to backstitch at the start/end of the folded edge for additional strength. 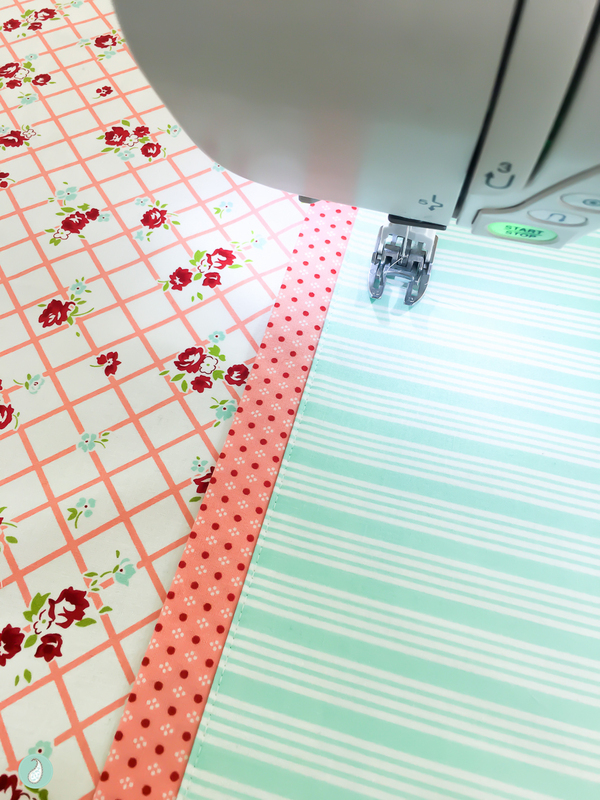 Using a serger/overlocker or a finishing stitch on your sewing machine, stitch along the three outer edges. Turn the pillowcase right side out. Press. 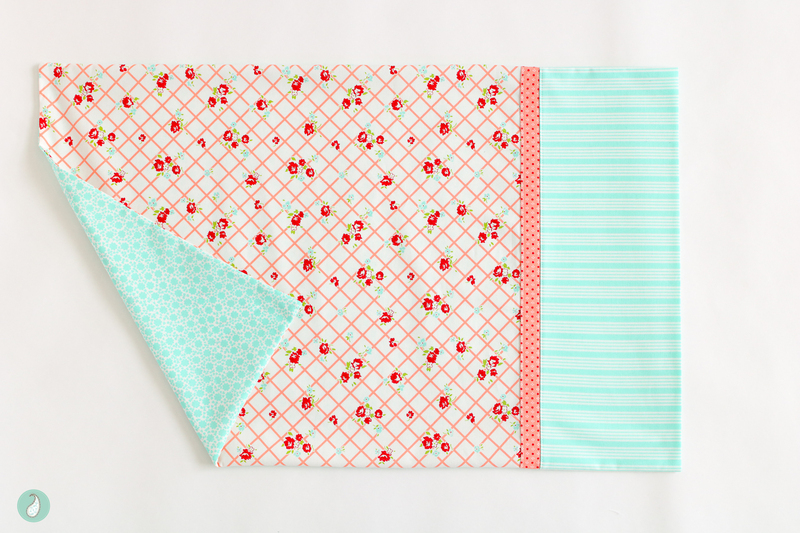 And just like that you have a gorgeous pillowcase with a classic envelope enclosure to ensure you pillow remains snug inside ! Woohoo… Pretty and practical !! Have I convinced you to make a few of these this year? 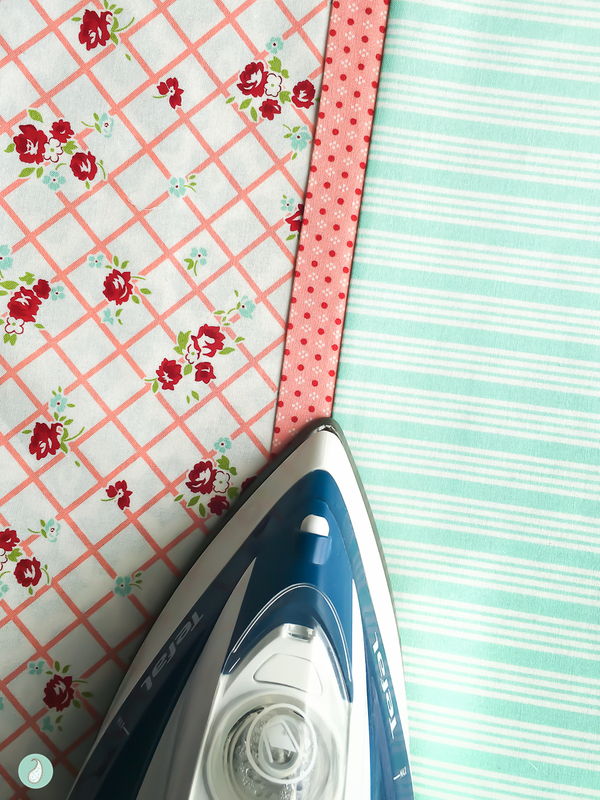 I suggested in the introduction that you could sew a pillowcase in under an hour, but truth be told you could easily sew one in WAY UNDER an hour once you have chosen and washed your fabric. 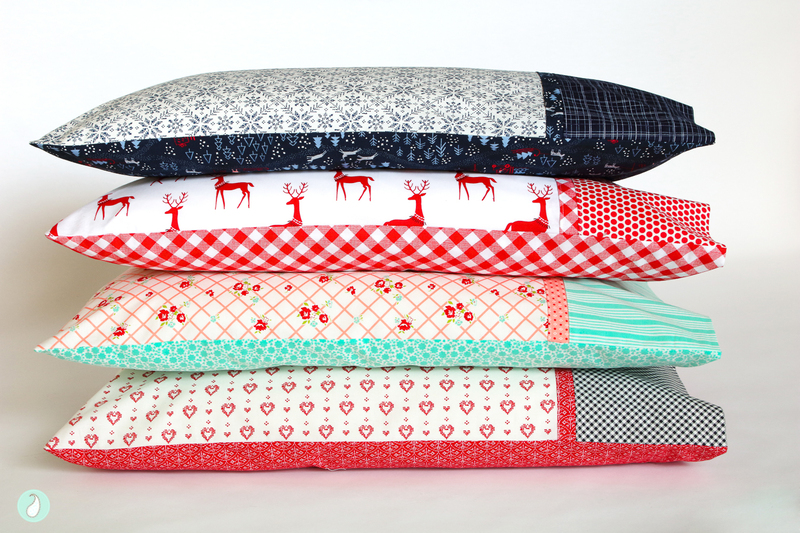 So add a few handmade pillowcases to your Christmas gift list this year, and have some fun with your favourite fabrics. What gifts or projects are you creating for Christmas this year? Don’t forget to create joy!! These are gorgeous!! You use a different method than I have used, but I really like your use of 4 fabrics per pillowcase. Thanks for sharing your technique! This is fabulous. 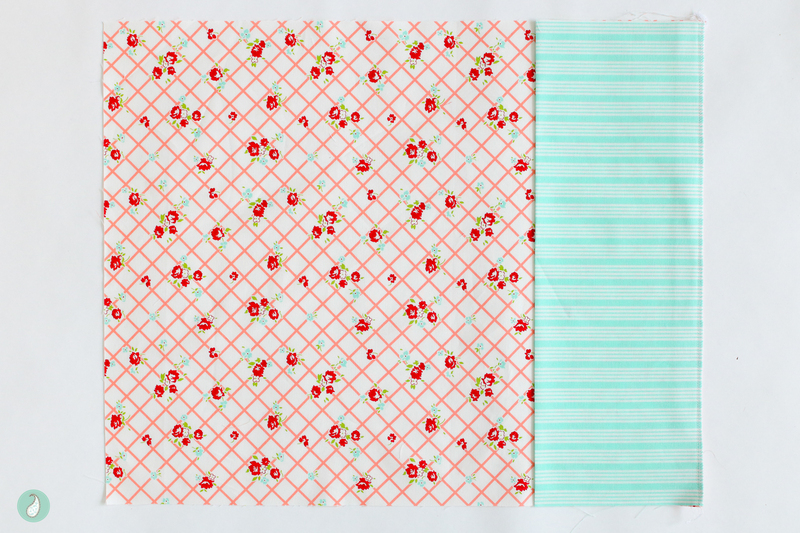 I’ve bookmarked this for when I get around d to Christmas sewing. Do you think you could sew wrong sides together in the final step then trim seam , turn right sides together and create a French seam? It seems like it would work but I may be missing something. Thanks again. Love the fabric choices. A different construction method that could really work great for children. I am in pillowcase making mode right now for the holidays and the call for pillowcases for the those effected by the California fires. Hi Samantha your pillowcases look the best on the net! I am attempting some now, but I have a query. Step 3 says to press the pieces in half with right sides together. Surely the pieces need to be pressed in half with wrong sides together. Or am I making a mistake? Pls advise, thanks. 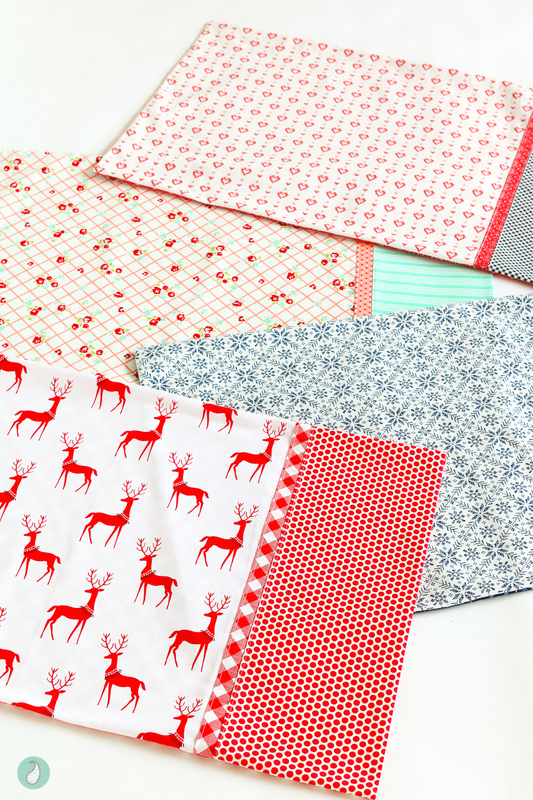 Wow, love this method, I’ve been making them a different way and now can’t wait to sew a few for Christmas presents! Wow! Your attention to detail really gives these a professional look and definitely gift worthy! 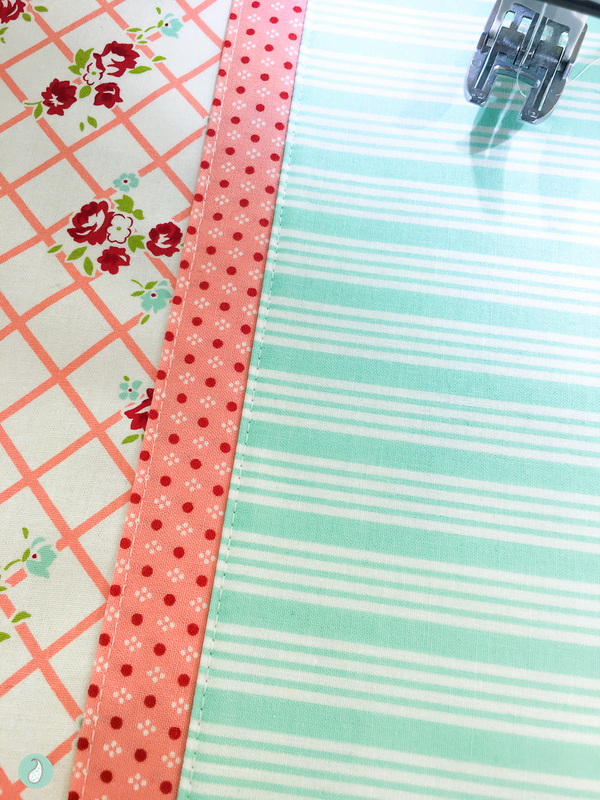 Pillow case with border and flange and envelope – can I use French seams?? Hi Marlene – I’m not sure how you would make French seams work with this construction method. You will have to experiment and let me know how it goes! Have fun giving it a go :). Have you done an actual video of this process? This looks like a great idea. Hi Linda – Thanks! At this stage I only have the tutorial you see here – but I think the pictures are pretty helpful for visual learners. I have a camping pillow that’s 18″ x 12″. I really want to make this pillow case and I am trying to figure out what size to cut all the pieces. Have you ever made a smaller version? Hi Brianna – Sorry, no I haven’t – you might have to do some reverse engineering math calculations to see what you can come up. I would suggest you make a test pillowcase out of some old fabric or cheap muslin first to make sure you are happy with your calculations. Have fun :).